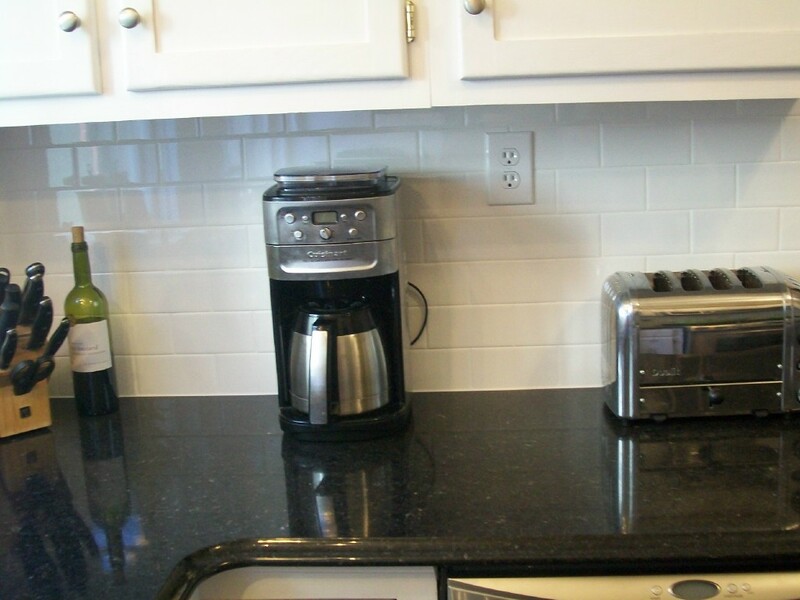 The below photographs chronicle Chris & Terry's project of a new Cambria quartz countertop and backsplash. In most ways this is a fairly typical project; in some ways it has unusual aspects. The house is approximately 104 years old and. like all houses, even new ones, has some construction flaws. Part of what we do is try to camouflage or minimize visually unappealing flaws. 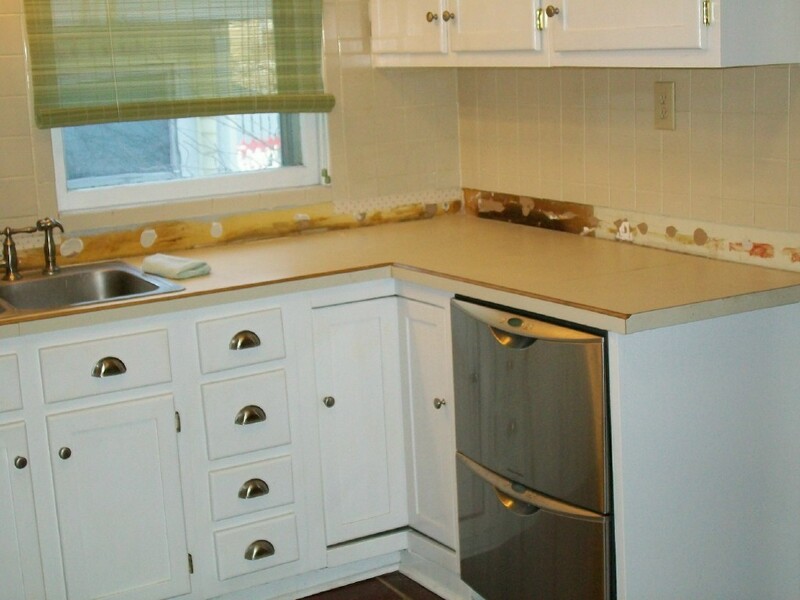 Here we have laminate countertops which have seen a lot of wear and tear, along with a backsplash that doesn't do much for the kitchen and is not in keeping with the age or style of the house. 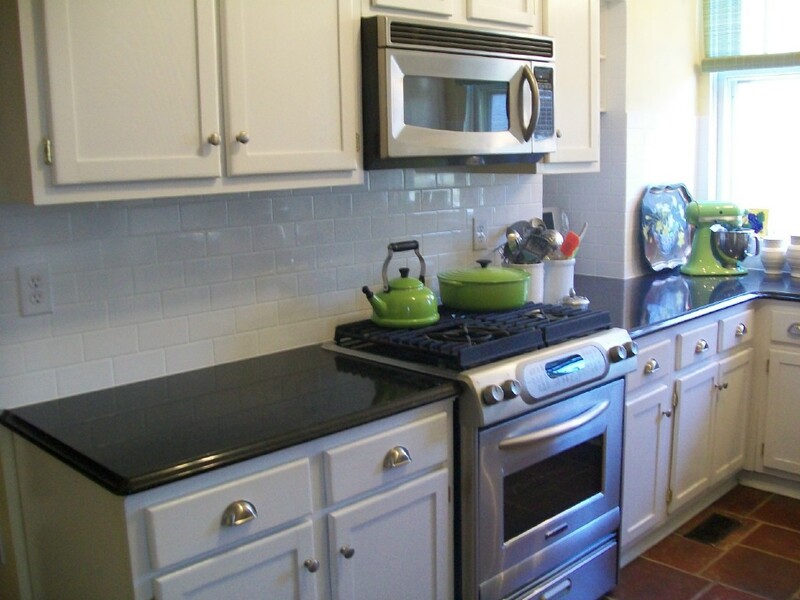 Terry chose Cambria quartz countertops in the color "Blackwood" to contrast with the white cabinets. 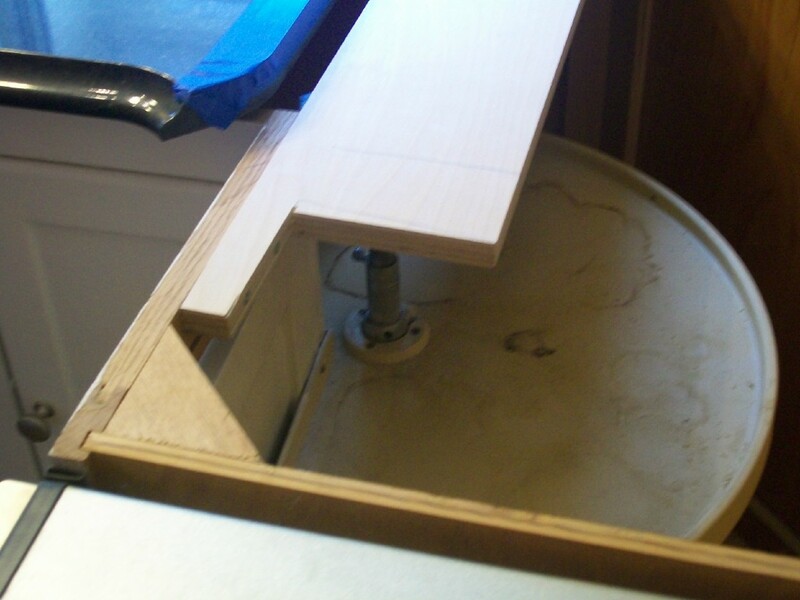 The edge will be what we call an "FS" profile, commonly known as an ogee edge. The old tile will be removed and replaced with a "subway tile" from Daltile, called Rittenhouse Square. 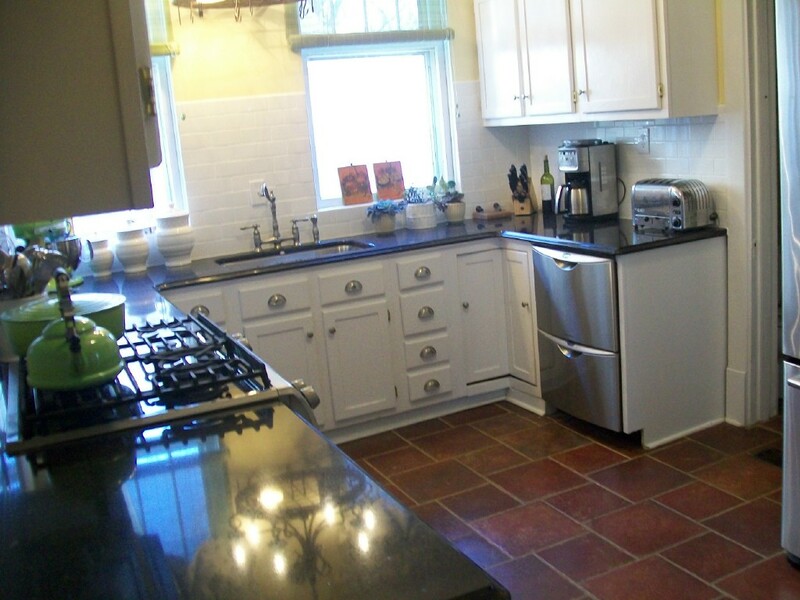 The photos show the kitchen as it was. We first removed the 4" laminate splash blocks so we could take accurate measurements of the wall. 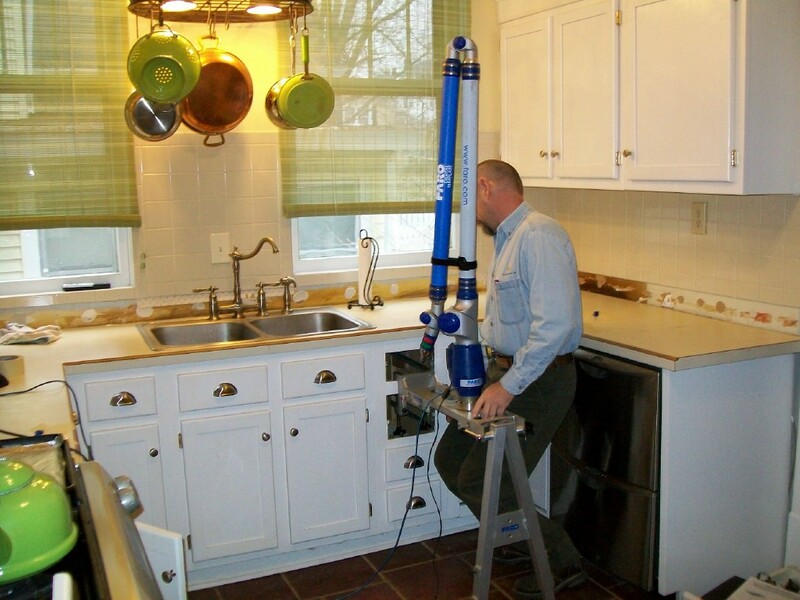 A highly accurate CAD drawing will be created and sent directly to a CNC machine to fabricate the top. 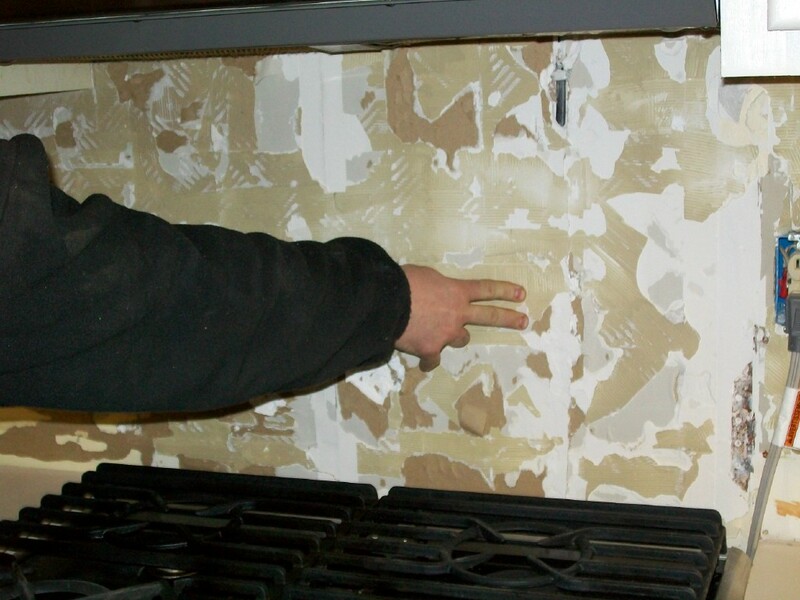 It's typically about two to four weeks from templating to fabrication and installation. Scheduling conflicts happen in real life. In this case, it was the arrival of a new grandson for Chris and Terry! Congratulations to the new parents and grandparents! Our tile guy was on the way to tear out the old backsplash when Chris called me with the news the baby had arrived early and he and Terry were headed home to catch some sleep. We had re-scheduled production of the top so installation wouldn't be on the expected delivery date, so removing the old tile was re-scheduled, too. When Marty, the tile guy, tore off the old tile some of the wallboard came with it. 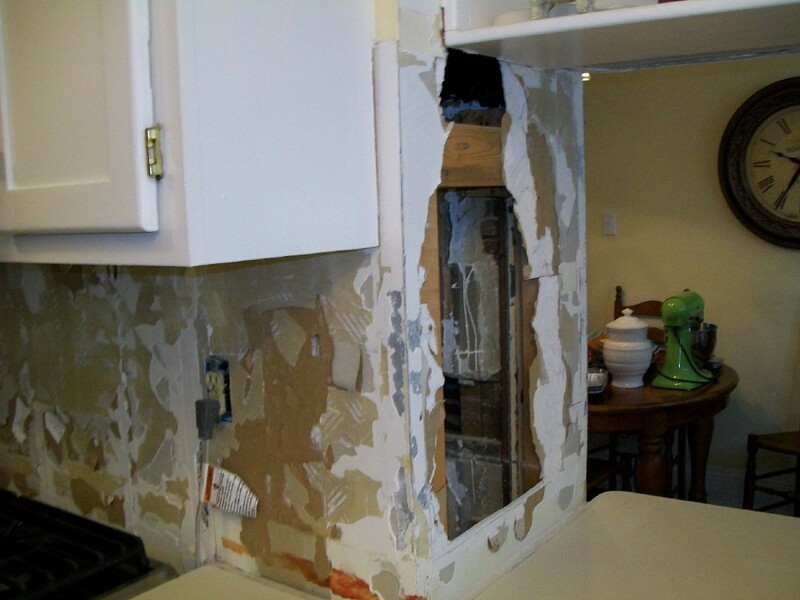 We found there was no studding supporting the wallboard in the pass-thru, and there were two layers of drywall on the exterior wall, part of which had not been securely installed and came off with the old tile. So another crew headed over to patch drywall. With a house over 100 years old things are seldom perfect and have to be corrected as we go. No big deal, but Terry will meet some more of the guys who make things look great. The crew called and I went and looked. The drywall was in worse shape than expected. Prior renovations from years ago had obviously detoriated. Most of the drywall around the counters had to be cut out and replaced. That means probably having to re-template so we get a good fit. Installation Day - So Chris Has Some "Issues..."
Or, more correctly, his cabinets have some issues - not unusual in a house of this age whose last renovation was some time ago. Chris and Terry met John and his helper, David, first. 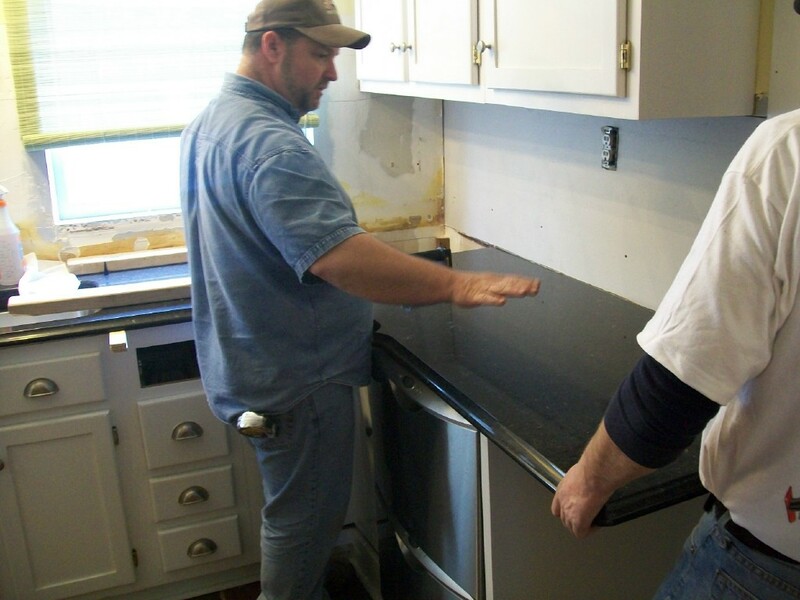 John is a Cambria expert and has over 30 years experience in construction and countertops of all kinds. Today he does only Cambria. 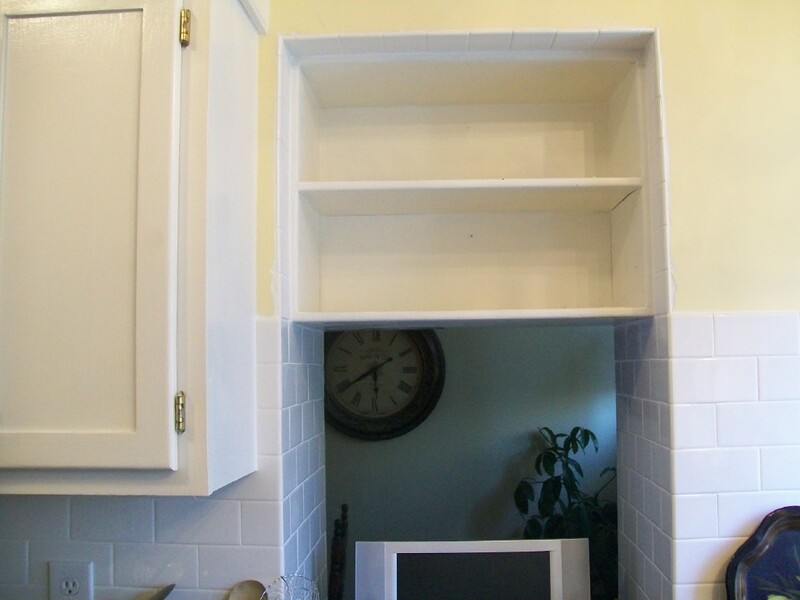 The first issue is these cabinets are not level. In spots they are about 3/8" out, in another almost 3/4". 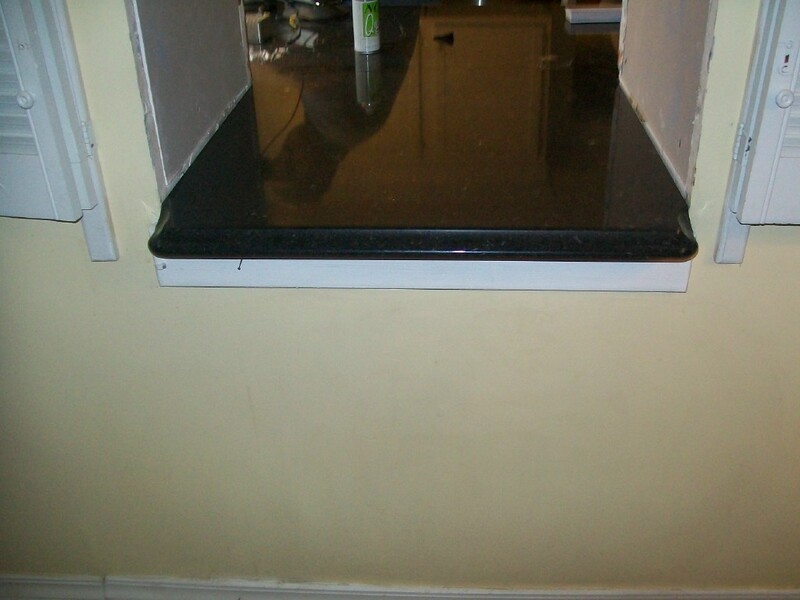 The dishwasher end panel had not been installed properly years ago, and was a problem. The other item of any note was the lazy susan had been put in wrong. 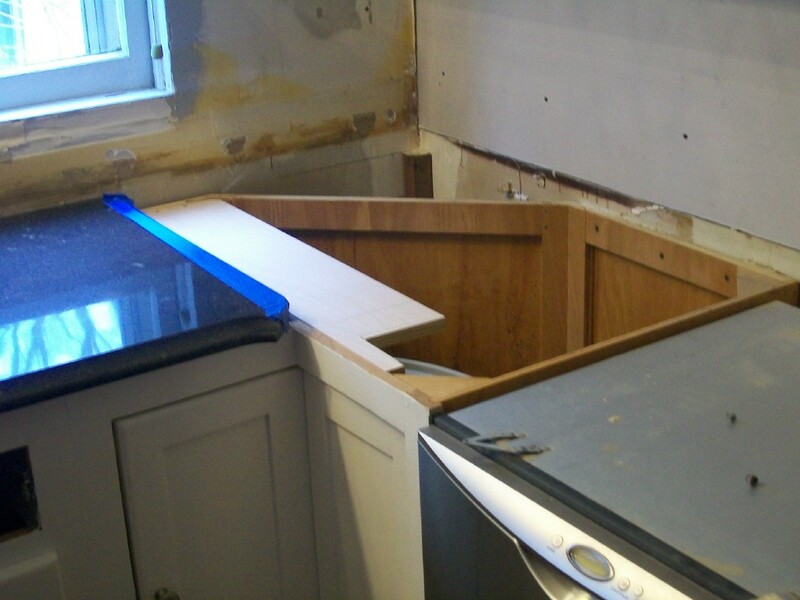 The pole around which the trays revolve had been fastened to the underside of the old laminate counter - the wrong thing to do. The drum of the lazy susan had to come out. Bob, the cabinet guy, got the pole to adjust. Years of being frozen and a rivet kept it from adjusting easily, but it finally did and a top support plate was installed. Bob also dealt with the end panel problem. John brought the slabs together, adjusted for all the un-even heights, and got a great fit. The seams are sealed and blended. No seam is ever invisible, but the end result is a seam not readily apparent. 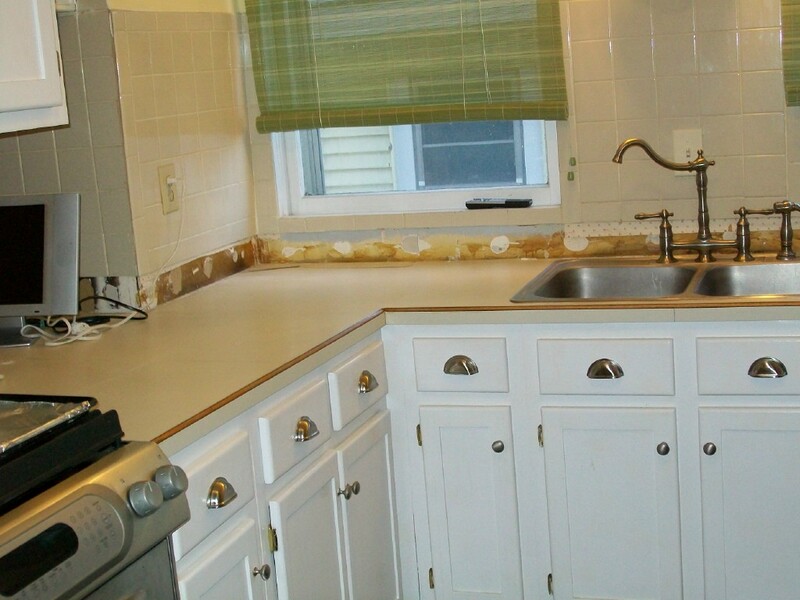 The old countertop's most noticable feature WAS the seams. John finished by mounting the sink. Jason, the plumber, was the last guy Terry Cross met today. 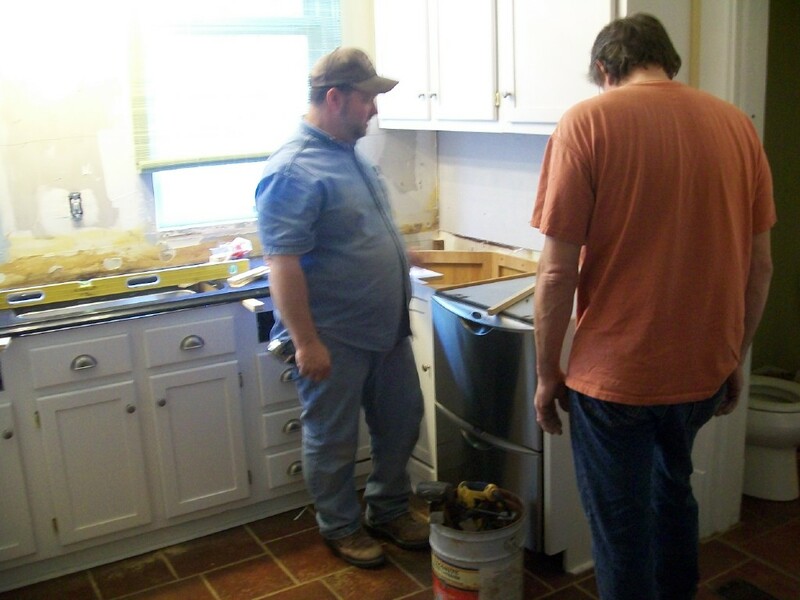 Naturally, with a new and deeper skink, the plumbing connections don't fit, so Jason re-plumbed and connected the new sink. The old faucet, a beautiful set, was re-used. Chris can wash dishes when he gets home tonight, or the big single-bowl sink is perfect for giving a new grandson his bath! 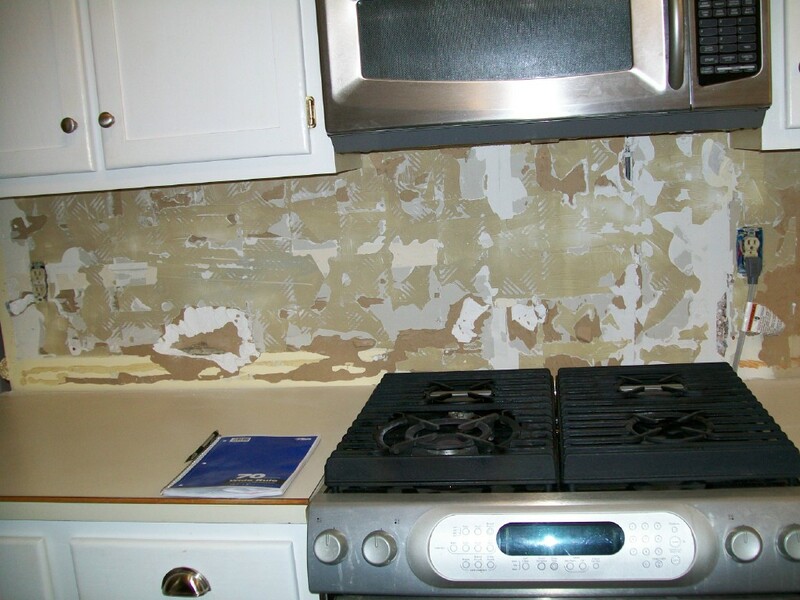 Only the backsplash to go! 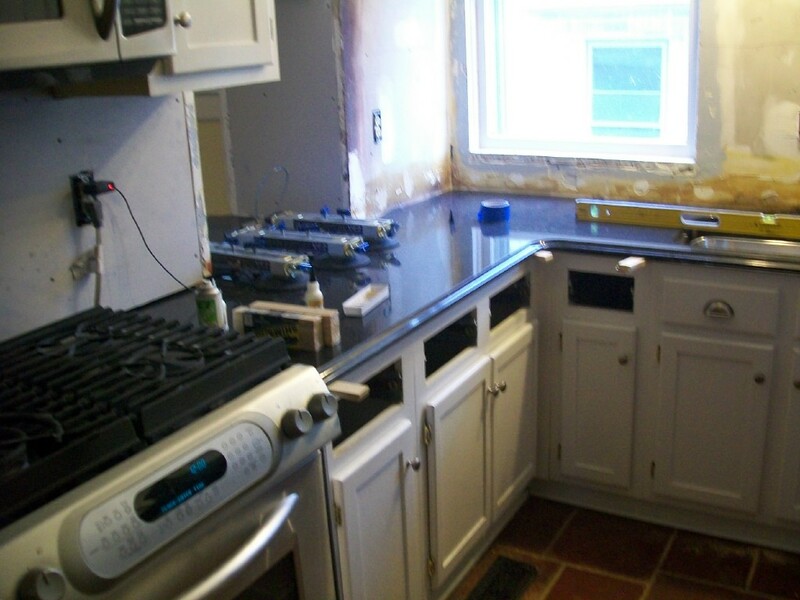 The final photos below show the completed countertop and backsplash. Terry also met Scott, the electrician, who changed all the plugs to white to match the color of the "subway tile." Marty and Keith had a discussion about how to tile the edge of the pass-thru. Keith had envisioned "picture-framing" the tile. Marty, when actually installing the tile, thought continuing the pattern would look better, and he was right. Some final trim and paint touch-up and the job is done! Terry made some excellent selections. 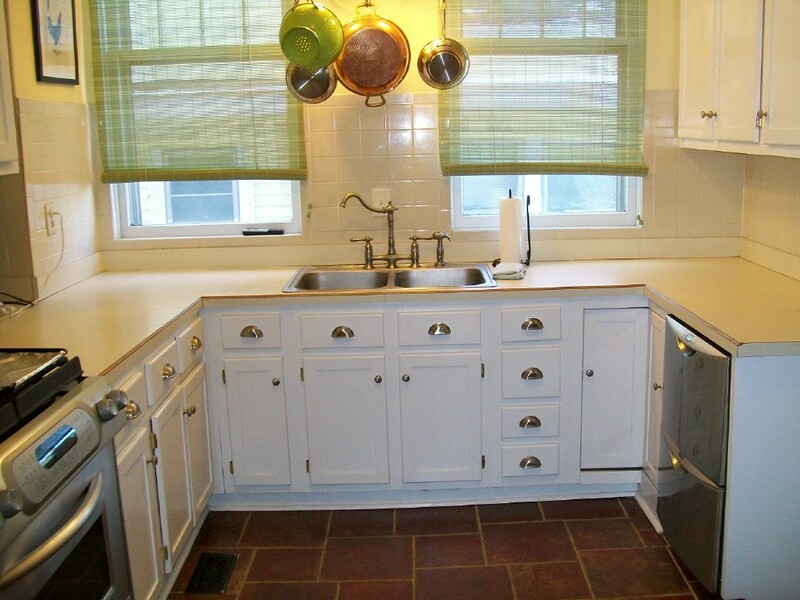 This top and backsplash fits the house and is keeping with the original style and era from over a hundred years ago. As Chris said, it looks like it has always been a part of the house! 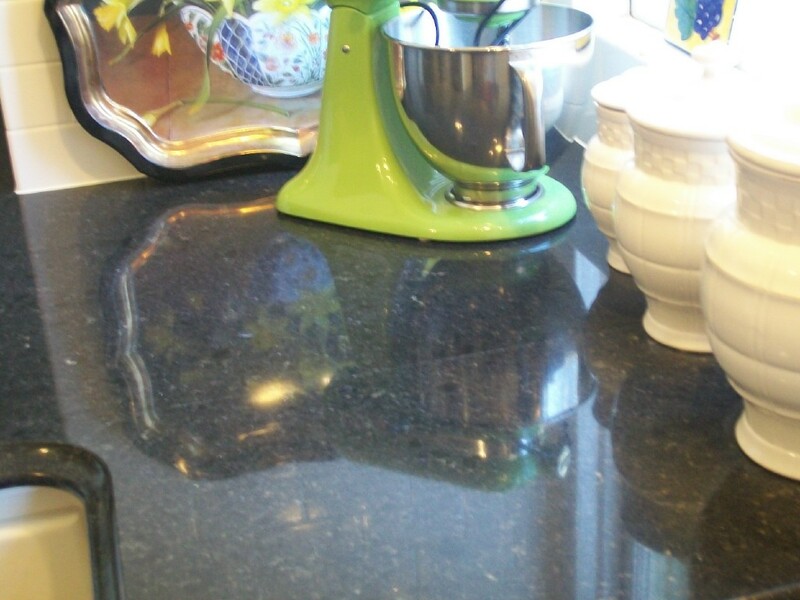 In my opinion, Cambria is probably the finest countertops on the market today. 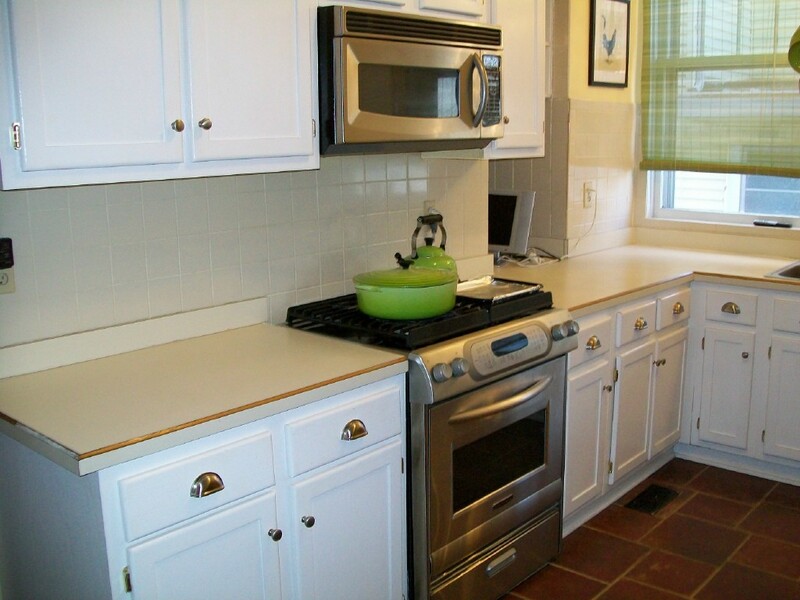 We do all kinds of tops; granite, solid surface, laminate, tile, and granite tile. Each has its appropriate application, are at various price points from extremely economical to affordable luxury, and can make a kitchen look like a totally new room. Cambria is a family owned business and the only made-in-America quartz producer. It is a "green" product. 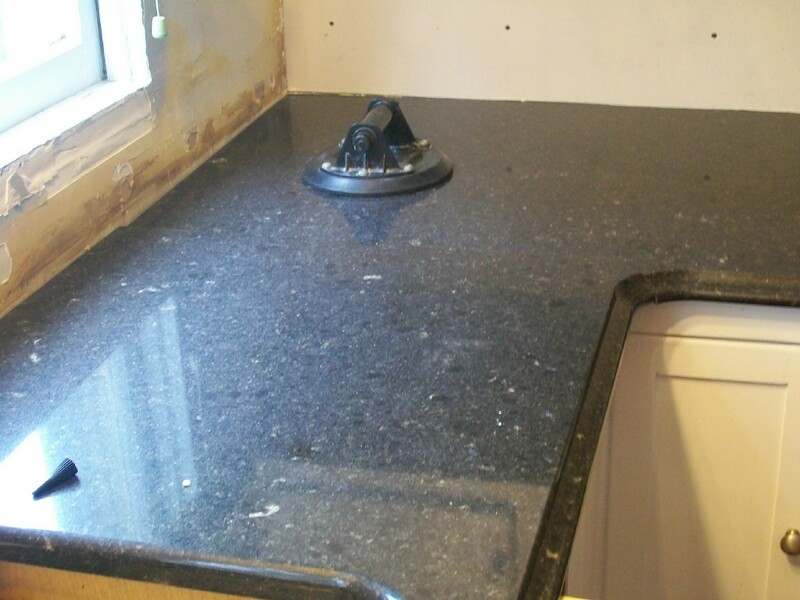 Quartz is nonporous, making it resistant to stains from fruit juices, coffee, tea, wine, nail polish, felt tip markers, etc. 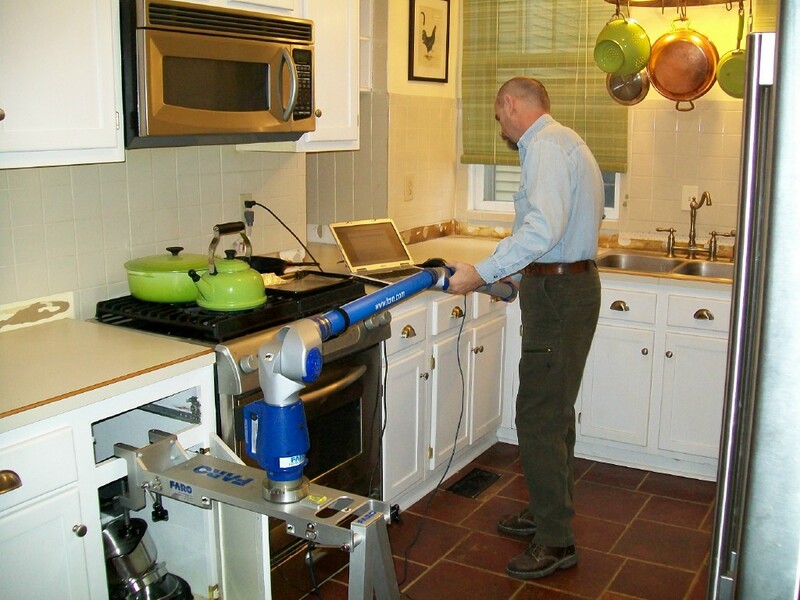 Maintenance is generally wiping it with warm water. Being nonporous means bacteria isn't absorbed and it is appropriate for food preparation, such as in hospitals and restaurants. People usually ask immediately about the price. 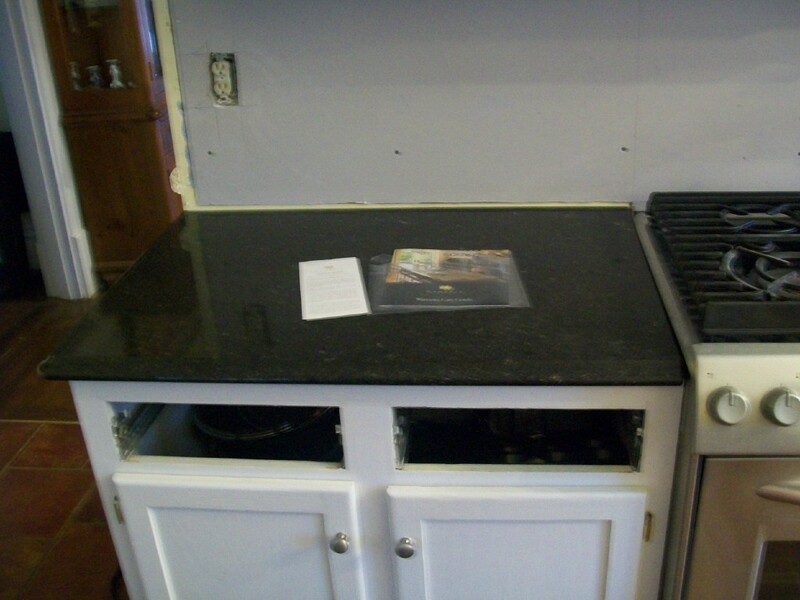 Cambria is about the same price point as a mid-range granite. However, there are some "freebies" that you get with Cambria. Eleven edge treatments are free! 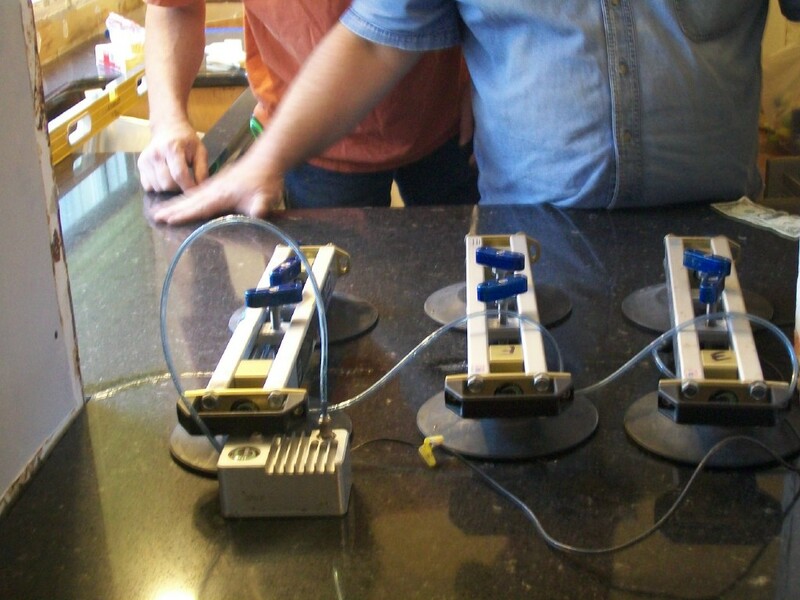 (Many edge profiles can add from $15 to $45 or more per linear foot.) 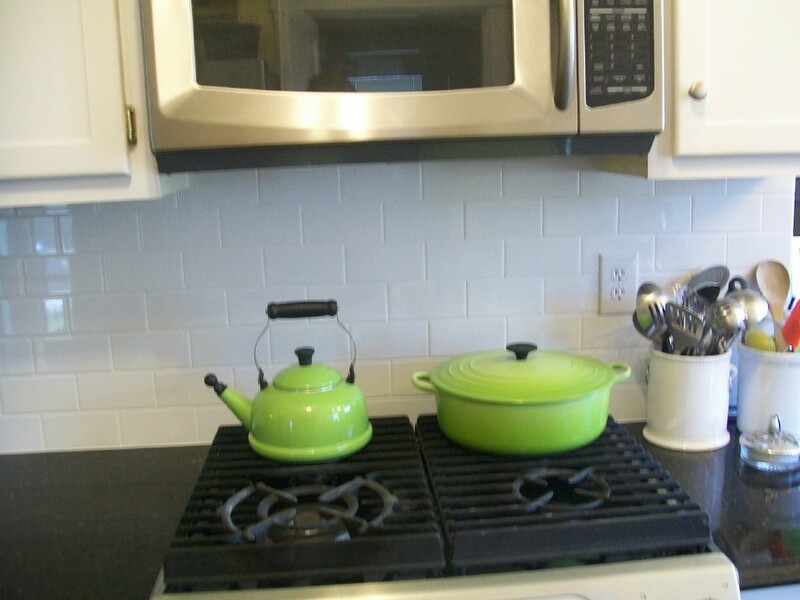 And, unlike most brands of countertops or granite, all colors are the same price. So pick strictly on the color you love - it doesn't cost any more than the color you just like! Cambria is also stronger than granite. And seams, while not invisible, are usually so inconspicuous most people never notice them unless specifically looking for them. Finally, the fabrication process is top-drawer quality. 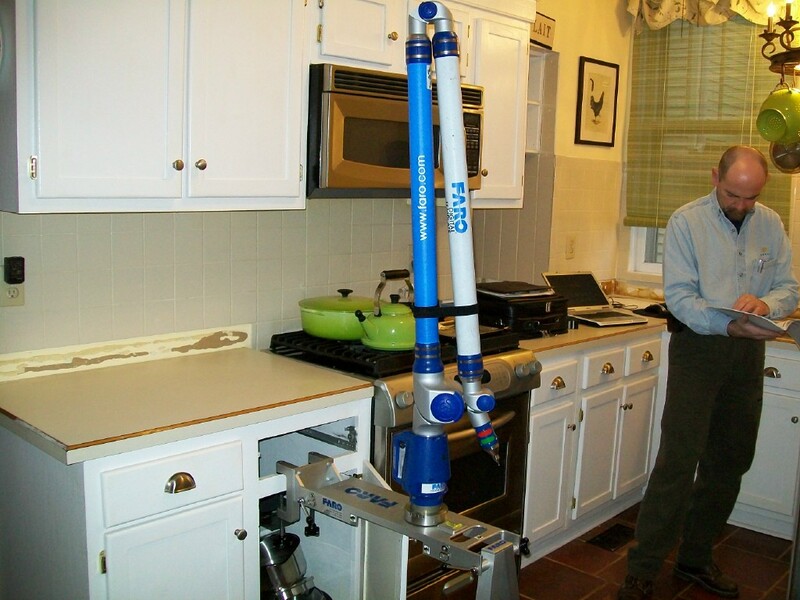 Working from highly accurate CAD drawings many of the flaws of your kitchen are concealed by being able to "scribe" the line of your wall and hiding inconsistent measurements, crooked walls and cabinets, bulges in walls, and so forth. The quality of polish and finish is far beyond what is obtained by hand tools or inferior machining/polishing techniques by many fabrication shops. 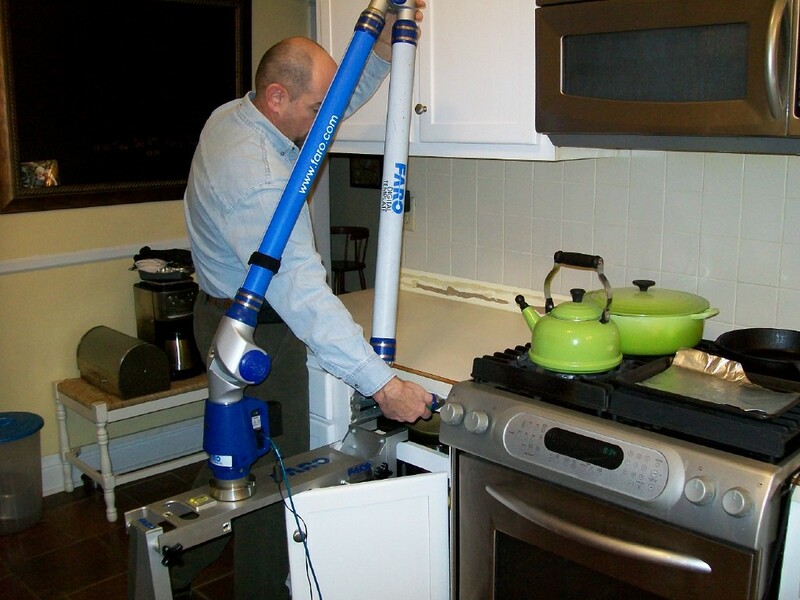 The photos above show the templating being done using a FARO machine. Lasers are very accurate and are now usually used to template. 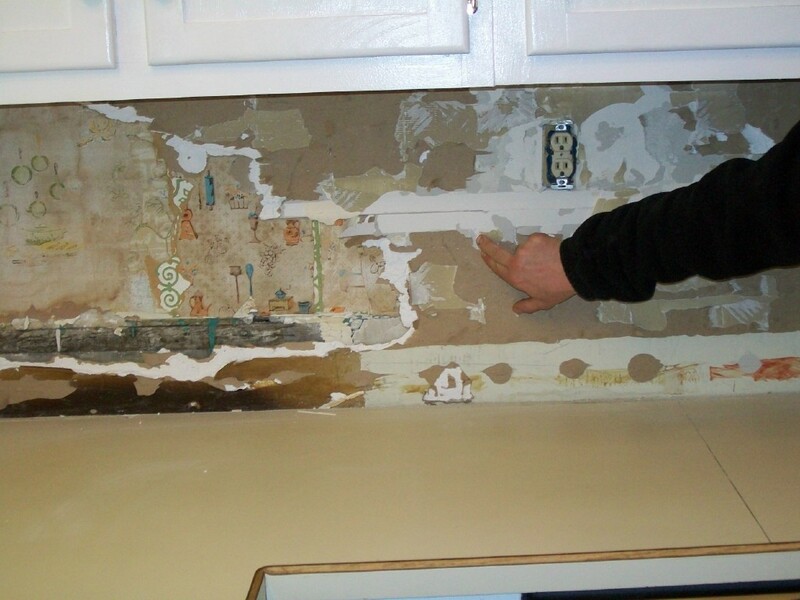 The technician, Tripp, measures reference points on the cabinets and along the wall at fractions of an inch. 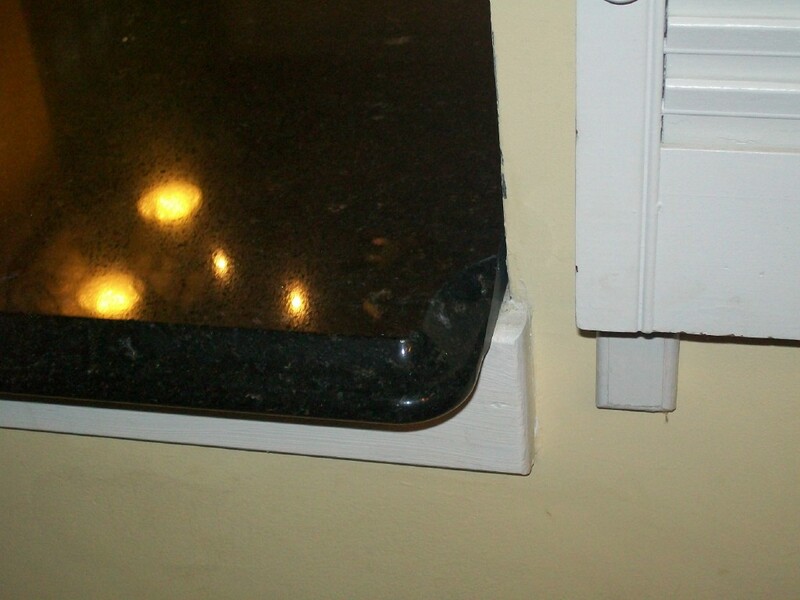 In this case, the existing countertops had an overhang of from less than 3/4" of an inch to over 1-1/2". The new tops will have a consistent overhang and the uneveness will be concealed on the backside of the counters, not the front. From the data going directly into the laptop, Tripp makes a highly accurate CAD drawing that is transmitted to the CNC machine that does the actual cutting and polishing of the slabs. 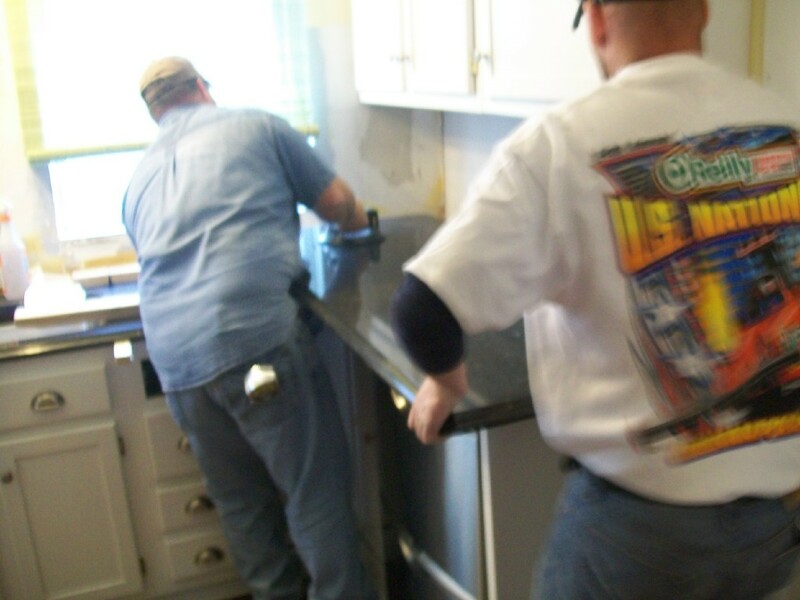 All of our quotes are "for the job" and are FIRM quotes, not estimates that change later. 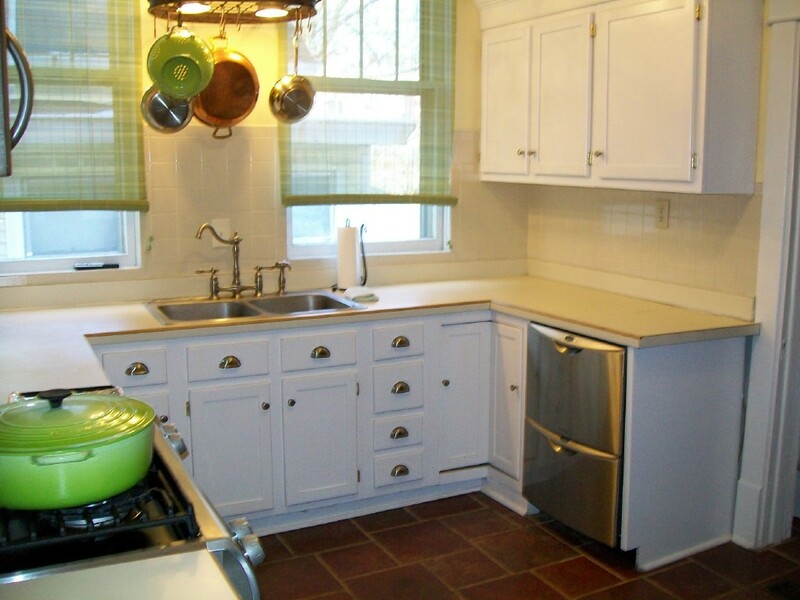 We don't try to mislead consumers who may be doing the one and only countertop job of their life by advertising cheap "per square foot" prices. And clients and reps in the industry tell us some places frequently wind up handing their customers a final bill for 23%, 25%, or 30% more than the original "estimate." The total job may include dis-connecting/re-connecting plumbing, tear-out, cutouts, radius corners, edge profiles, sinks, faucets, and all the other little things that are needed to make your job beautiful.